Judge Koh is a she. * The loss of market share is irreparable harm. 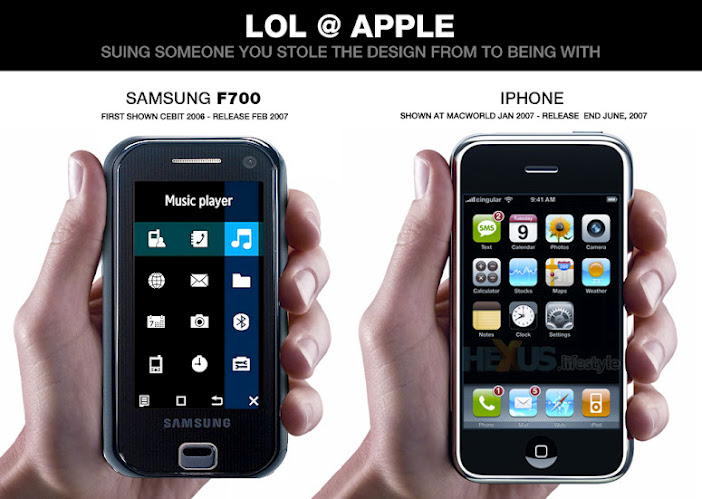 It's impossible to identify what market share Apple would lose because of Samsung's alleged infringement, or how much that's worth. So money damages are inadequate. * In response to Mike's point about a royalty -- you're assuming there's a set royalty rate. I'm assuming the patents that Apple is asserting aren't FRAND patents. As such, they're under no obligation to license AT ALL. Apple's arguing that the true value of the patent isn't in pressing for royalties, a la Microsoft, but in maintaining the existing monopoly. There might be an argument for compulsory licensing of patents (although I'm skeptical). And more competition would be nice, although the whole point of patents is to limit competition. But while patent law is sort of screwy, none of this is the judge's fault.